It’s been nearly a decade since Caster Semenya arrived on the global stage. After blowing away the field in the women’s 800 metres at the 2009 world championships as a teenager, the South African track star has added two more world titles and a pair of Olympic victories to her ​resumé. Since testosterone is one of the key ingredients contributing to an athlete’s strength and speed, many feel Semenya has an unfair advantage in her sport. “She is a woman, but maybe not 100 per cent,” is how Pierre Weiss, a high-ranking official with the IAAF, track’s world governing body, put it in 2011. Some of the loudest voices opposing Semenya have belonged to women who compete against her. After Semenya won both the 800- and 1,500-metre races in convincing fashion at last month’s Commonwealth Games, Australian runner Brittany McGowan suggested it wasn’t possible to keep up with her. “It’s tough for a lot of women in the 800, 400 and 1,500 at the moment to compare ourselves and be judged by our governing bodies on those times,” McGowan said. At the 2016 Rio Olympics, Poland’s Joanna Jozwik was even more pointed after finishing fifth in the 800 final. Francine Niyonsaba of Burundi and Kenya’s Margaret Wambui, who finished second and third in the race, respectively, have also faced questions about their powerful-looking physiques. In fact, the authorities have tried to do a lot. In 2012, the IAAF introduced a rule that capped testosterone levels at 10 nanomoles per litre of blood — at the lower end of the typical male range — for athletes competing in women’s events. Though she hasn’t commented publicly on the matter, it’s believed that Semenya may have turned to hormone-suppressing drugs after the ruling, based on the way her results have ebbed and flowed. In July 2015, the Court of Arbitration for Sport ruled that the IAAF’s testosterone-limiting move was discriminatory and suspended it. 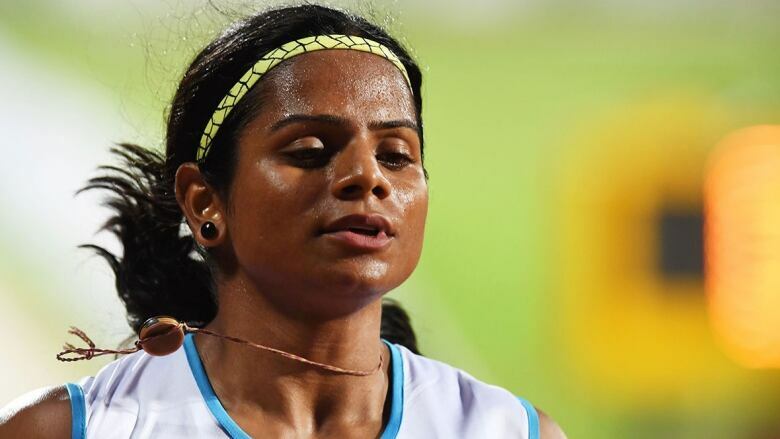 The rule was challenged not by Semenya, but by little-known Indian sprinter Dutee Chand, who had been banned for having elevated levels of natural testosterone. After this, Semenya quickly regained her dominance and went on to easily win Olympic gold in 2016. Under the new rules, which are set to take effect Nov. 1, in order to be allowed to compete in women’s track events between 400 and 1,500 metres, so-called DSD athletes must be recognized by law as either female or intersex and must maintain testosterone levels of five nanomoles per litre of blood or less. “We want athletes to be incentivized to make the huge commitment and sacrifice required to excel in the sport, and to inspire new generations to join the sport and aspire to the same excellence,” said IAAF president Sebastian Coe. But Katrina Karkazis, a Stanford University bioethicist who was involved in the Chand case and has written extensively about Semenya, says the IAAF’s move isn’t about aspiring to excellence — it’s about stopping Semenya. Karkazis and others who have argued before the CAS say Semenya may have a strong case against track’s governing body. “The IAAF has a duty to show that there is a reasonable scientific basis for this rule,” says lawyer Paul Greene, who has argued numerous cases to the CAS. “To me, this rule is even more arbitrary in that it includes some events and not other events. It doesn’t make any sense to me. How could testosterone help a woman in the 400 or 800 but not in the 100 or 200? The IAAF’s newest research concluded that a DSD athlete with elevated testosterone enjoys a nine per cent advantage over other women — short of the 10 per cent threshold the CAS asked for. The findings drew a correlation between an increase in testosterone levels and increases in both muscle mass and muscle strength, but Karkazis says that’s not enough. “You have to show a performance difference,” she says. “Testosterone is related to athleticism, it does affect muscle mass, and no one is going to dispute that. But it’s irrelevant for the regulation at hand. With the science and motives behind the IAAF’s new regulations already facing scrutiny, a legal battle seems likely. 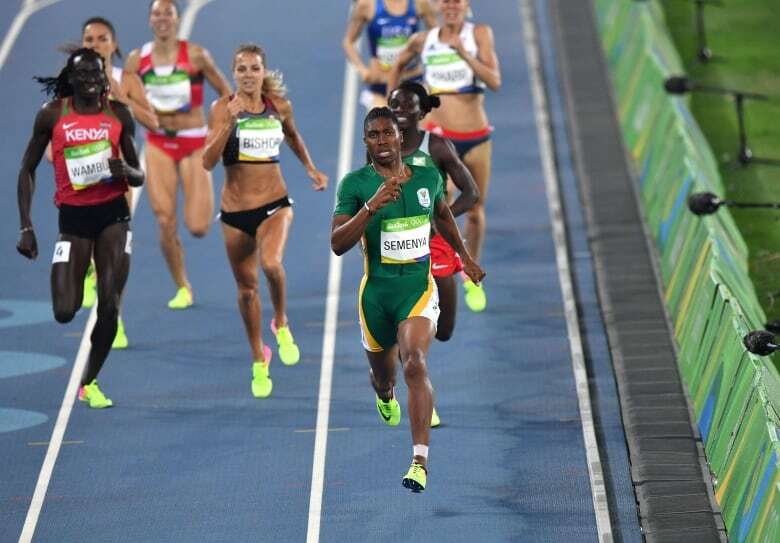 Will Semenya, an apparent target of the rules, be the tip of the spear? The IAAF has already faced a challenge from within. Steve Cornelius, a South African law professor, quit his position on the organization’s disciplinary tribunal in protest over the new rules. He took several shots at the IAAF in a scathing resignation letter that was addressed to Coe. “The adoption of the new eligibility regulations for female classification is based on the same kind of ideology that has led to some of the worst injustices and atrocities in the history of the planet,” Cornelius wrote. “I am 97% sure you don’t like me, but I’m 100% sure I don’t care,” read the text of a graphic she posted on her Twitter feed the day the new rules were announced.